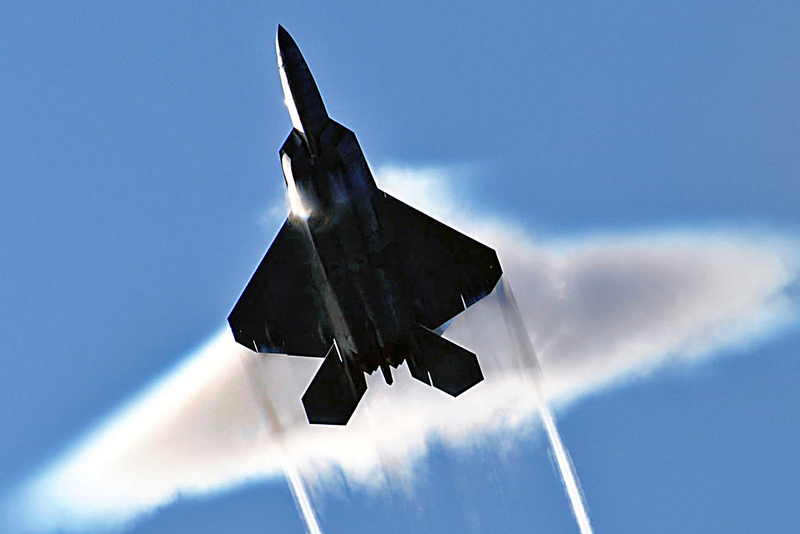 The sound barrier or sonic barrier is a popular term for the sudden increase in drag and other effects experienced by an aircraft or other object when it approaches supersonic speed. In the image above you can see the effects of the sound barrier being broken. When the sound barrier broken by an air craft the white halo formed by condensed water droplets is thought to result from an increase in air pressure around the aircraft at transonic speeds. When breaking the sound barrier an aircraft must fly in excess of 767 Miles Per Hour – that is over 1 mile every 5 seconds! Would you like to go that fast?! Check out the absolutely amazing video below, it is a compilation of different aircraft being recorded while breaking the sound barrier.